Hi folks, Here’s a quick video overview of a bunch of inexpensive/ cheap guitar pedals I own and use in my studio and for live gigs sometimes. There are a few Major Brands such as Seymour Duncan & DigiTech but these are mostly pedals from Xvive and Donner. A link to all the individual blog post reviews are below, so take a look at the each video post if you’re interested in anything. The links below start in order of the pedals as I mention them but then start to veer off into groups. Also, some pedals don’t have individual reviews/post. I’ve also added links to reviews of pedals and related things, not in the video and will continue to update this post with new stuff. If you have any comments or suggestion, please post your thoughts in the comments below. Donner Mini Wah Pedal & Volume Pedal First Look Review. 2 in 1 pedal (WAH/volume). Multi-functional pedal in an extremely mini size. Donner Heavy Rock Pocket Mini Guitar Amp Amplifier – Headphone amp. 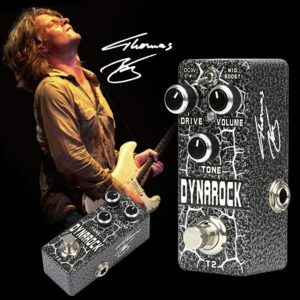 Seymour Duncan Pickup Booster – A true-bypass pedal with class A, low-noise circuit design, Pickup Booster can be used to dial in the tone you need for every situation. Ripple – Nano Classic Tremolo Guitar Effect Pedal Super Mini by Ripple Donner. Donner Booster Guitar Super Mini Pedal First Look Review. Nano Tutti Chorus Guitar Pedal Super Mini Analog Stombox – First Look – Review Donner. Donner Nano Looper Review First Look – The small size of these nano pedals makes it easy to fit into any pedal board or keep on the floor for quick looping/songwriting ideas. Donner Nano Analog Delay Guitar Effect Pedal – Super Mini Wave Delay. Donner Nano Distortion Pedal Metal Head Guitar Effect Super Mini Pedal First Look Review. Donner Nano Tube Drive Overdrive Guitar Effect Pedal – Super Mini Guitar Pedal. The O1, O2, T1 and & T2 pedals are designed by Thomas Blug, a famous German musician, guitarist, composer and musical electronic engineer. Donner Octave Pitch Guitar Pedal Harmonic Square First Look Review – Beef up your single note riffs and solos, get a 12 string kind of sound, a bass sound, and many other kinds of tones. You get 7 modes, +2, +3, +4, +5, +6, 1 octave, and 2 octaves. Each mode can be tuned up, tuned down or detuned, so it’s more like 21 modes plus a wet and dry mix to even things out. 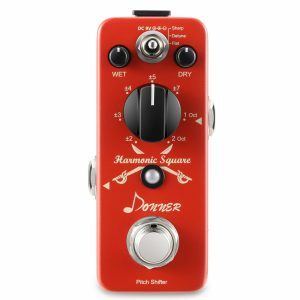 Donner Verb Square – No Review Video – 7-Mode Effects: Room, Hall, Church, Spring, Plate, Studio, and Mod. Xvive EQ Guitar Effect Pedal for Acoustic Guitar First Look Review If you put your ear where the guitar’s direct output is picked up, it is no surprise that the quality of sound is poor, it comes from inside the body of the guitar, not from the room where the actual sound of the guitar should be heard. Spectral Reassignment and the Xvive MIKE pedal fix that problem. Donner EQ MINI Guitar Pedal ★ First Look ★ Review – Five-band graphic EQ features a ±18 dB adjustable gain range per band. 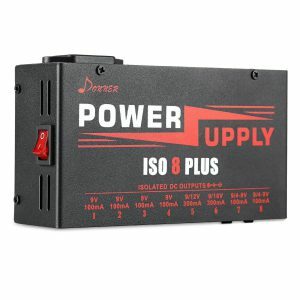 Donner DP 2 Guitar Pedal Power Supply Review The Donner DP-2 is upgrading of DP-1, DP – 2 using better materials. 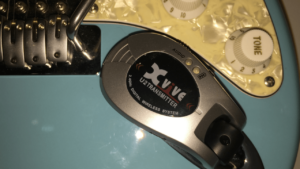 Xvive U2 Wireless Guitar System First Look Review The U2 fits nice in all the basses and guitars I tried it on. I tried it on a Fender Bass VI, Start, Tele, P Bass, Jaguar, Godin Bass, Danelectro 12 String and a few others. Donner Rechargeable Wireless Guitar System DWS-2 Review The Donner DWS-2 is more compact and has some extra features like a +5dB switch, and a 180°rotatable head. In short, it’s a nice upgrade from the DWS-1. 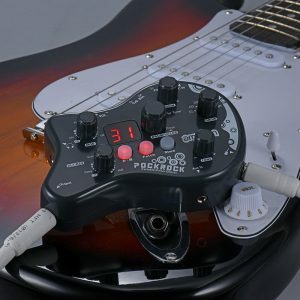 Rowin Wireless Guitar System First Look Review – The Rowin WS-20 Guitar Wireless System offers a reliable and affordable way to transmit your guitar (or any other electric musical instrument) signal, enabling you to break free from using cables. Donner Deluxe Looper Guitar Pedal First Look Review – 10 minutes of looping time and unlimited overdubs and undo/redo functionality. Reverse and multiple speed/pitch changing. 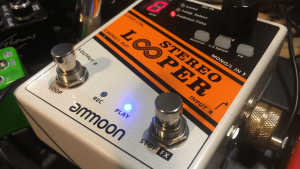 Ammoon Stereo Looper Review – A cool looper with a cool vibe. Perfect for practice, songwriting, and live performance. Rowin Beat Loop Looper Pedal with Drum Machine First Look Review – The Rowin LBL-01 Beat Looper With Drum Machine is a looper pedal with a built-in drum machine with 40 drums grooves with intros – outros and fills. Up to 30 loops can be stored, with loop capability up to 5 minutes, and a total recording time up to a whopping 50 minutes. Xvive Duet Looper Pedal for Guitar Bass First Look Review – Two series-mode separate loops to record to, each with a maximum length of 5 minutes. Each loop can be recorded, overdubbed, or played separately. 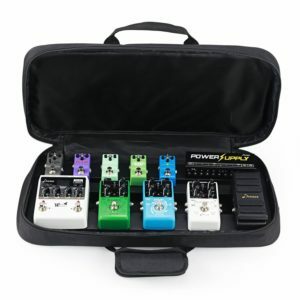 Donner Guitar Pedal Board Case DB-4 Disassembled Pedalboard with Bag -This product uses the disassembled /removable design scheme, and it can be adjusted according to the size of the effect pedals through the Unique structure. You also get a durable canvas bag that safely and securely transports you pedals from gig to gig.40’’professional grade adhesive-backed hook-and-loop for securing pedals and zip ties included. Donner Pedal Board DB2 ★ FIRST LOOK ★ Review – Pedalboards Using Portable aluminum alloy material, lightweight aluminum pedalboard allows you to show without pressure. 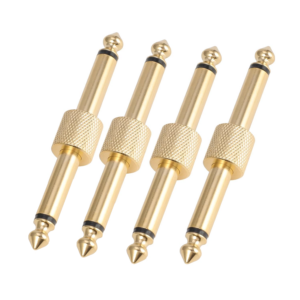 Donner Effects Pedal Coupler work great for pedals whose inputs are at the same height/level, shortening your signal chain as much as possible, there are no tolerances for misalignments. Affordable Guitar Patch Cables – The Donner patch cables are designed to interconnect electric guitar pedal effects. Right-angle plugs allow close spacing of pedal effects on pedalboards. The Donner Blues Drive Overdrive Guitar Effect Pedal is a very nice inexpensive OverDrive Pedal that provides a great set of tones to your guitar or bass. 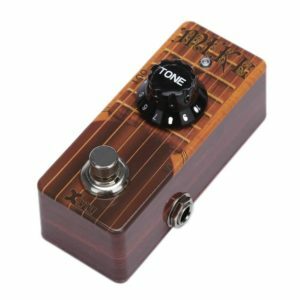 Donner Golden Tremolo Review MINI Guitar Pedal – The Golden Tremolo effects pedal offers classic tremolo effects with a huge range of speeds and depths. Donner Alpha Force High Gain Delay Chorus Pedal First Look Review The Alpha Force 3 is a great bang for the buck. This pedal also comes with its own power adapter (9V 500mA). The cord for the power adapter is about 10 feet long and the pedal itself has a nice small form factor with cool looks. Donner Ultra DI Box Micro Direct Box First Look Review – This DI box takes a high-impedance, unbalanced 1/4″ signal and converts it into a low-impedance, balanced XLR signal for Direct Input to a mixer. 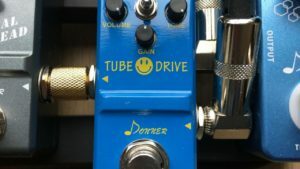 Donner Ultimate Delay Pedal 11 Modes ★ First Look Review ★ – From clean digital delay to psychedelic Galaxy Delay, The 11 mods provide different musical styles with different delay choices. Xvive Wave Phaser Bass Guitar Effects Pedal – W1 First Look Review A very cool phaser guitar pedal from Xvive. Also works great on Bass. 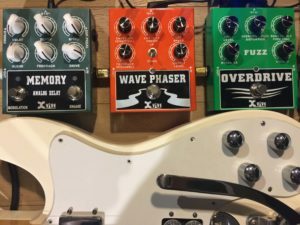 Xvive Overdrive Fuzz Bass Guitar Effects Pedal – W2 First Look Review – I love the many tones I got from this pedal for both guitar and bass. It’s very easy to blend tones and come up with some great sounding quickly. Nice crunchy rhythm and fuzz leads and a lot in between. Xvive W3 Analog Delay Guitar Pedal First Look Review – The flexibility of adding echo, delay, chorus, vibrato, etc. make the Memory Analog Delay a must have on any effects board. Xvive Tremolo Guitar Pedal True Stereo – FIRST LOOK REVIEW – Undulatory V16 – Warm, rich, wide range tremolo effect. Xvive Bass Squeezer Pedal Distortion, Compression, Overdrive First Look Review -The Bass Squeezer is idiot-proof. 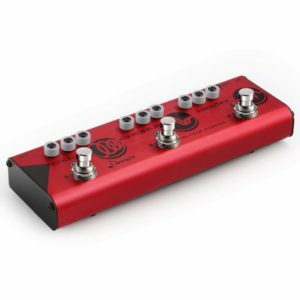 Engage the effect with the bomb-proof stomp switch to blend the amount of compression you desire into your bass signal with the “Compression” control and adjust the “Volume” control to suit your needs. Xvive Auto Wah Pedal Envelope Filter – First Look Review – In the video demo I used a Danelectro 12 String Semi-Hollow Electric Guitar and a Fender Bass VI.I really like the sensitivity knob, this allows you to play softly without the effect and then kick it in when playing harder. Ammoon PockRock Review – The Ammoon PockRock Guitar Multi-effects Processor Effect Pedal 15 Effect Types 40 Drum Rhythms Tuning Function with Power Adapter is a bang for the buck inexpensive portable and headphone amp with effects and drum loops to play along with. This entry was posted in Gear, Guitar & Bass, Reviews and tagged cheap chinese guitar pedals, donner, looper pedal, wireless guitar system, Xvive. Bookmark the permalink.